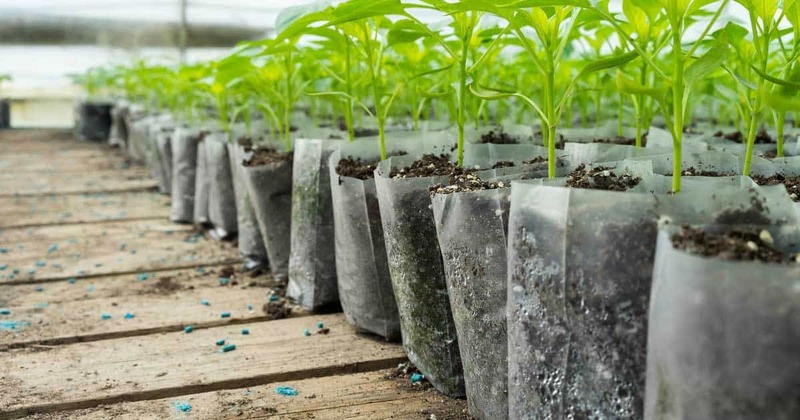 Transplant shock is typical when moving plants from a small container to a bigger one, from the greenhouse to the outdoors or transplanting into the garden for plants to wilt. Epsom salts come in handy and help the roots overcome the transplant shock. When transplanting, the shock might make the plants become weak and wither. With the use of Epsom salt, the shock is minimized considerably. When preparing soil, use one cup of Epsom salt per 100 square feet. Personally, I like to use more of a drench when transplanting. Here are some tips on using Epsom salts during transplanting. #1 – Fill up the destination point with soil, be it potting containers, or the target holes in the garden. #2 – Water all the plants to be transplanted well before transplanting. Also, water the area and or soil which will hold the new transplants. #3 – Mix Epsom salts at the ratio of one tablespoon to one gallon of water and saturate. Ensure that the saturation of the transplanting hole is with water before saturating it more with the Epsom fertilizer. #4 – Remove the plant from the previous destination, holding the plant base with a flat hand to ensure that the topsoil does not fall off. Try to make sure the roots are as “undisturbed” as possible. #5 – Place the plant in the destination hole or container taking extra care so as not to damage the roots in the process. #6 – Lightly water the plant with the Epsom salt solution.